‘Golden Embers,’ the second single off our new album Tides Of A Teardrop (coming February 1) premiered via Garden & Gun magazine! It’s a special track and was one of the first tunes written for this album. You can read the premiere and check out the song via Garden & Gun here. The track is officially available to stream + buy everywhere TODAY! We've also partnered with select independent retailers to bring it to your turntables. 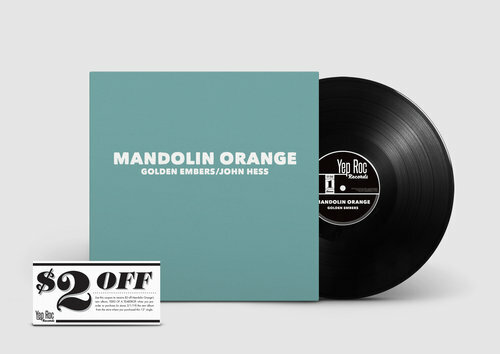 The limited edition 12" also features an exclusive, unreleased track 'John Hess,' plus a coupon for $2 off Tides Of A Teardrop (use it to pre-order the new album at your local store). Click here for a list of record stores where you can find this special release. Supplies are limited, so happy hunting! New album + release tour announced!